The Wolverine is currently in theaters, trying its level best to make up for X-Men Origins: Wolverine, and it mostly succeeds. Currently sitting on a worldwide box office take of just over $312 million, it seems safe at this point to qualify director James Mangold's film as a success. Recently, a rumor has been spreading that star Hugh Jackman, who has played the role of Logan/Wolverine in six different films (including the memorable cameo in X-Men: First Class but not including next year's X-Men: Days of Future Past), has been offered $100 million to continue playing the character in another four films. This is an interestingly-worded statement, suggesting that perhaps Jackman has been offered such wildly lucrative multiple-picture deals in the past and has shot them down out of general principle. It's a nice, populist sentiment, and putting aside the honesty of actors when discussing money, it means almost nothing. After Spider-Man 3, Sam Raimi swore up and down that he intended his Spidey films to stand as a trilogy... until Sony offered he and his star Tobey Maguire the opportunity to return for what would have been Spider-Man 4 (which of course eventually became Marc Webb's reboot The Amazing Spider-Man). We're not saying that a hefty salary changed their minds... but actors and directors certainly don't work for free. 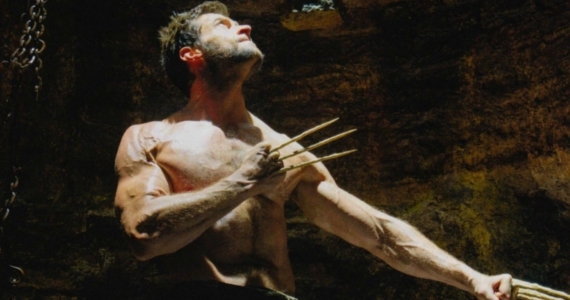 Still, there are plenty of reasons for Jackman to take such roles one film at a time. As the actor enters his mid-forties, maintaining the physicality required for these roles means more and more work. Robert Downey Jr. has publicly mused on the physical demands of being Iron Man, and Daniel Craig has said much the same about continuing to portray James Bond. The main takeaway from all this is that the future of solo Wolverine films is clearly up in the air. We do know that Jackman is again reprising the role for Bryan Singer's X-Men: Days of Future Past, and while Singer has been prodigiously tweeting set pictures, it's been awhile since we've seen some new ones. Fortunately, Singer recently tweeted a series of photos from the set, one of which featured star Michael Fassbender as young Magneto. The hashtag on the third tweet - #Secondtolastdayofprincipalphotography - is a pretty clever way to re-ignite excitement over Days of Future Past. Given the film's ambitious, complicated plot and timeline, it's fascinating to consider that this thing is finally almost done filming. Singer still has nearly a year of post-production before the film's release, and while that might seem like plenty of time, DoFP boasts a huge cast, a mind-bending time travel plot, and giant, mutant-hunting robots called Sentinels. Singer has no small task ahead of him. In fact, while The Wolverine satisfied many X-Men fans for the time being, its flaws really underlined what made Singer's X-films successful: an admirable balance of character and action and a unique subtext (the rabid anti-mutant sentiment in Singer's films juxtaposed with ongoing discrimination in our society). 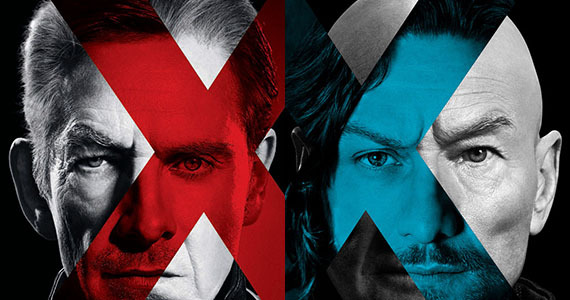 Days of Future Past is becoming one of our most anticipated movies of next summer, and the terrific viral marketing coupled with Singer's set tweets has only added to the excitement. X-Men: Days of Future Past releases on May 23rd, 2014.